JJ, Excellent Question! 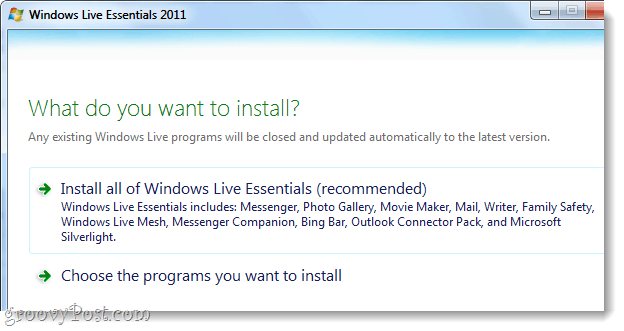 When you attempt to download Windows Live Essentials 2011 through the normal channels, Microsoft only provides a link to wl-setup.exe. This file is only 1 MB in size and obviously isn’t the full package, it is actually just an installer that downloads the suite for you. Like JJ said, the problem is that you can’t install anything using wl-setup.exe unless the computer you are working on has an Internet connection, and hopefully a high-speed one at that. As of now, the offline installer is 209 MB in size and is only distributed officially through the above link. Just like with the normal installer, you’ll still be able to choose which programs you’d like to installer, but you won’t have to download them after choosing. wow! this is definitely helpful for those – ‘I just set up a new pc but the owners don’t have an internet connection set up in their home yet’ situations that I seem to run into more often than not. Thanks a lot for this groovy resource! Great post. I was checking constantly this weblog and I’m inspired! Very useful information specially the ultimate phase :) I care for such information much. I was seeking this certain information for a very lengthy time. Thank you and best of luck. Link is now broken or non-responsive. Is there an update?